1 bedroom apartments with style. 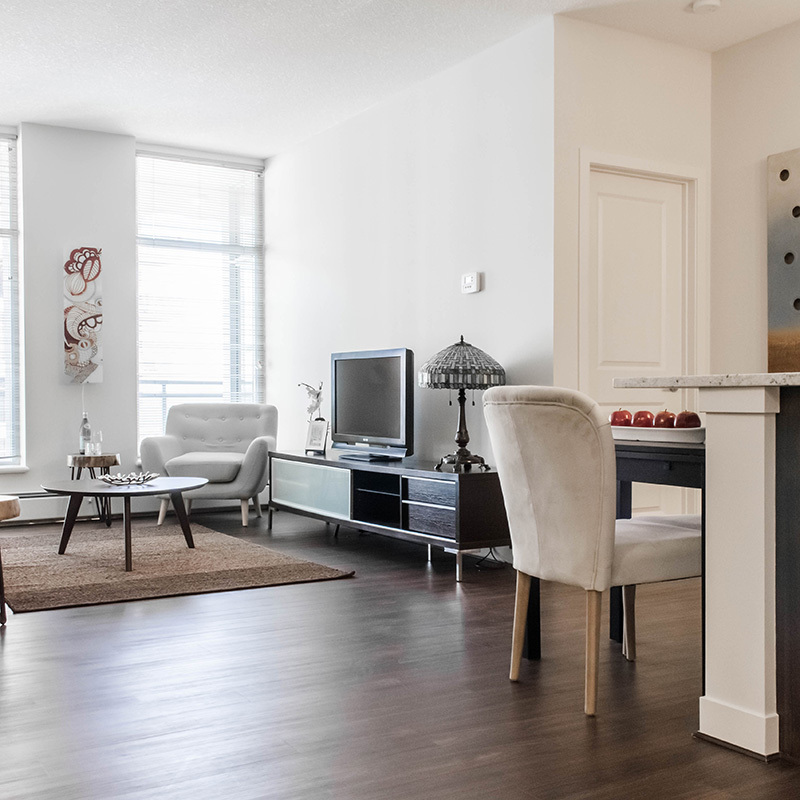 A life full of possibilities – where you’re close to downtown, work, restaurants and bars. 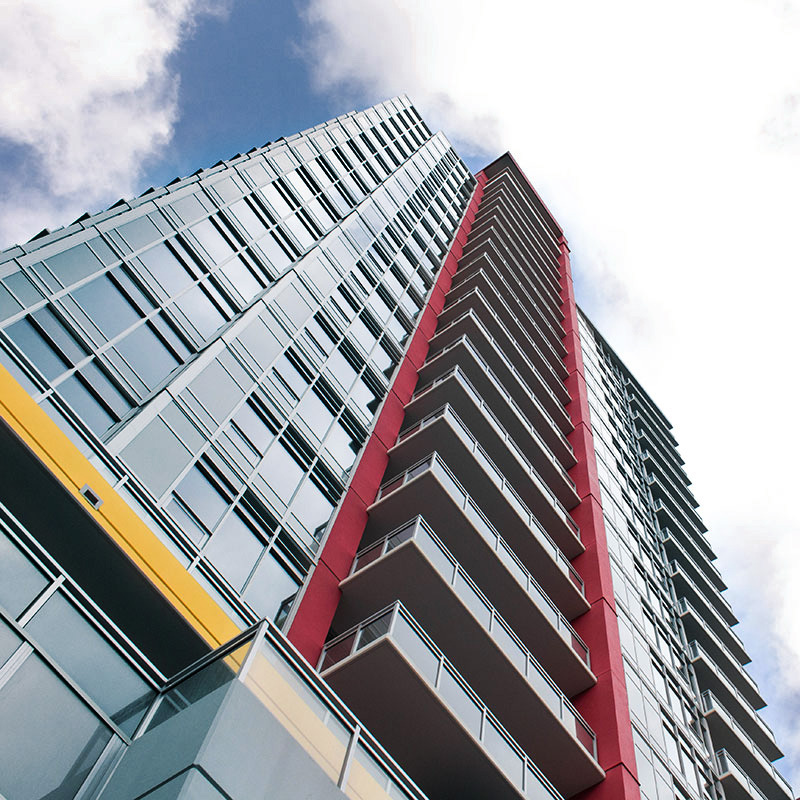 Live in a modern, newly built tower that fits your style and the life you want to lead. 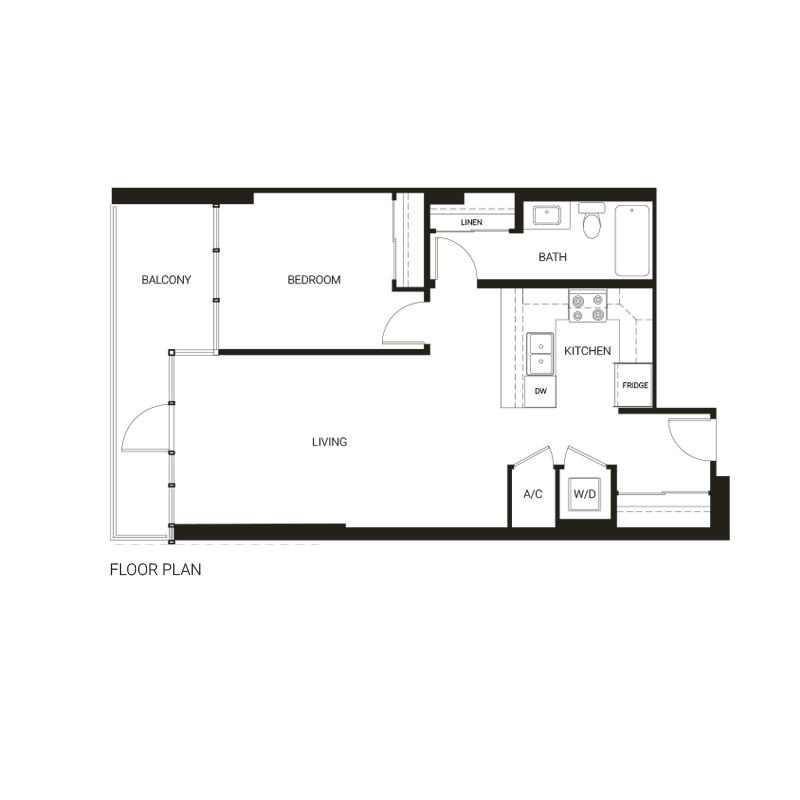 Floorplans and finishings may vary from unit-to-unit. Your first home isn’t always a home. 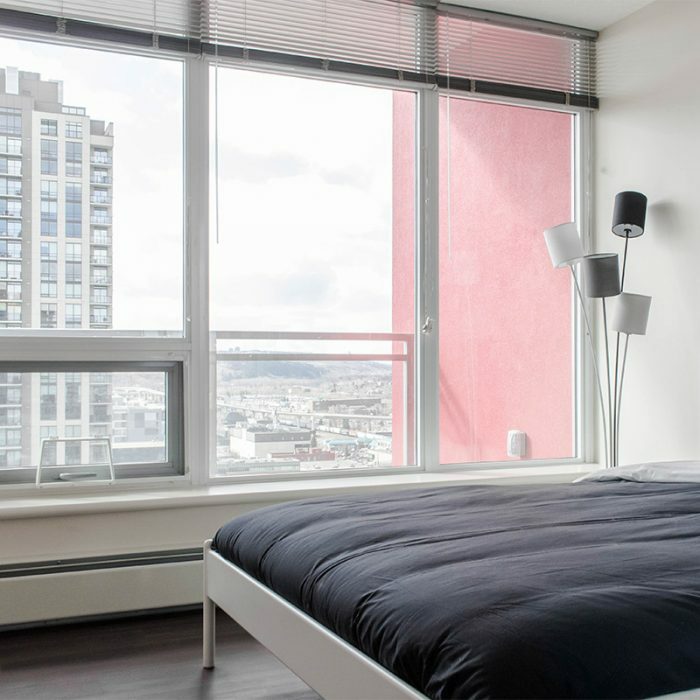 If you’re ready to get a place of your own (or a place with that someone special), a one bedroom apartment may be exactly what you’re looking for. 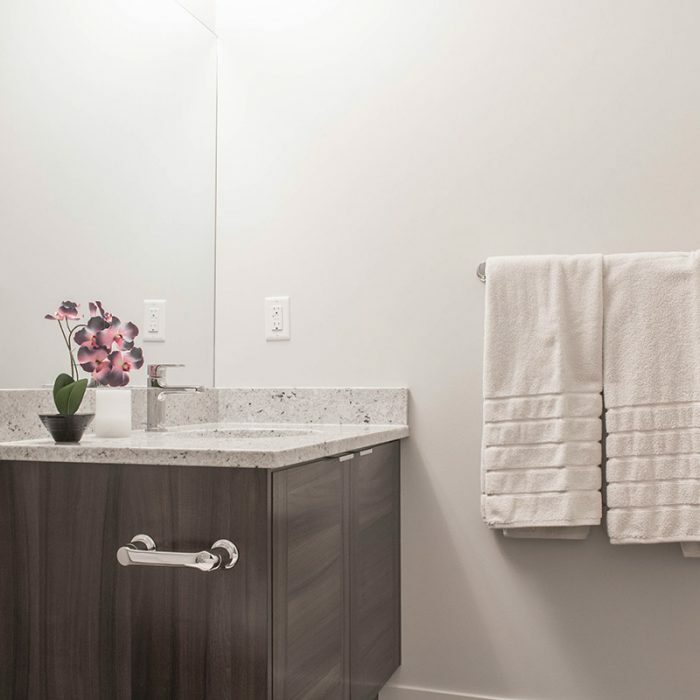 Often bigger than a studio apartment, one bedroom apartments separate your living and sleeping areas to give you more specialized space and privacy. 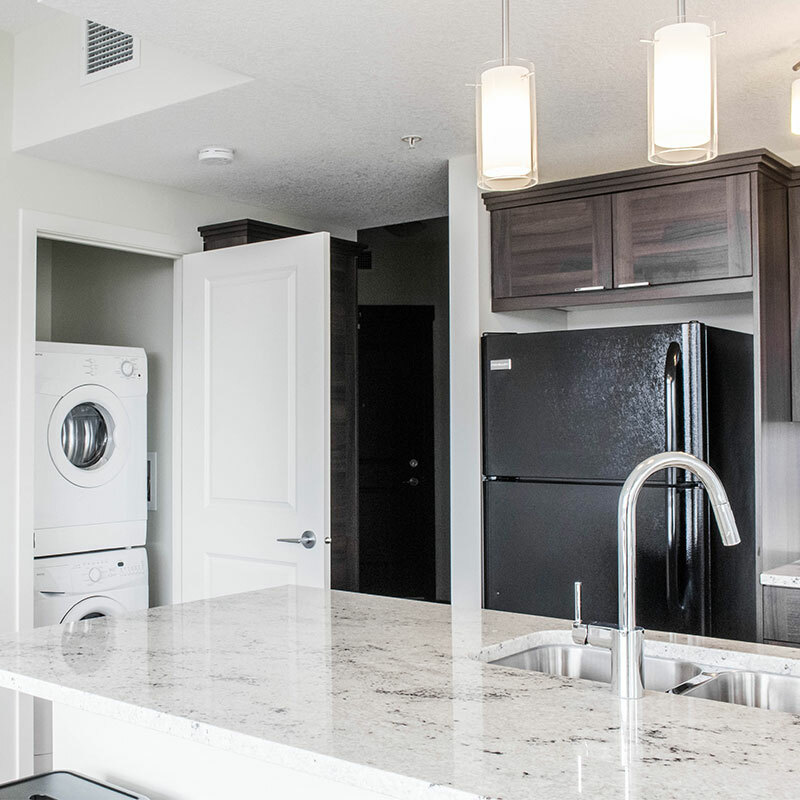 One bedroom apartments at The Arch offer 680 square feet of modern living space. 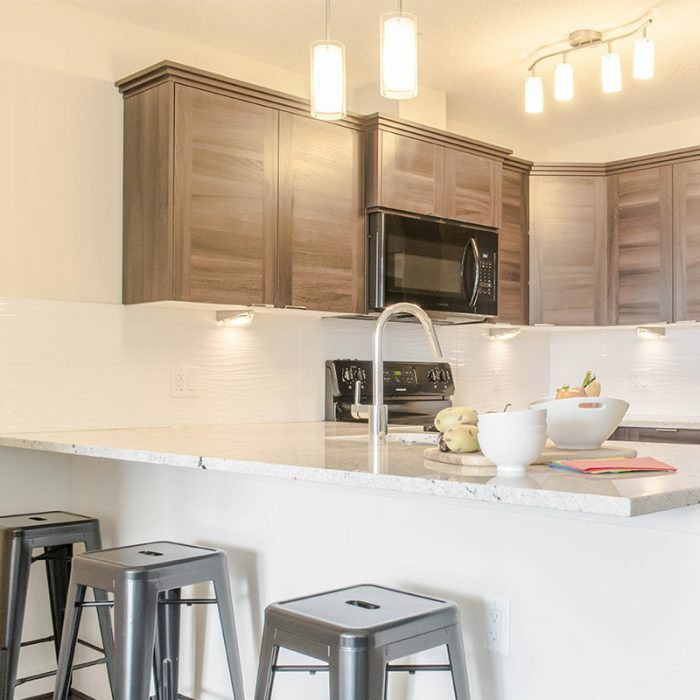 The kitchen and bathroom both feature modern design and granite countertops. But it takes more than walls, doors and windows to make a home. For some, home is about being close to the people and things that matter. For others, it’s about feeling safe, secure and comfortable. 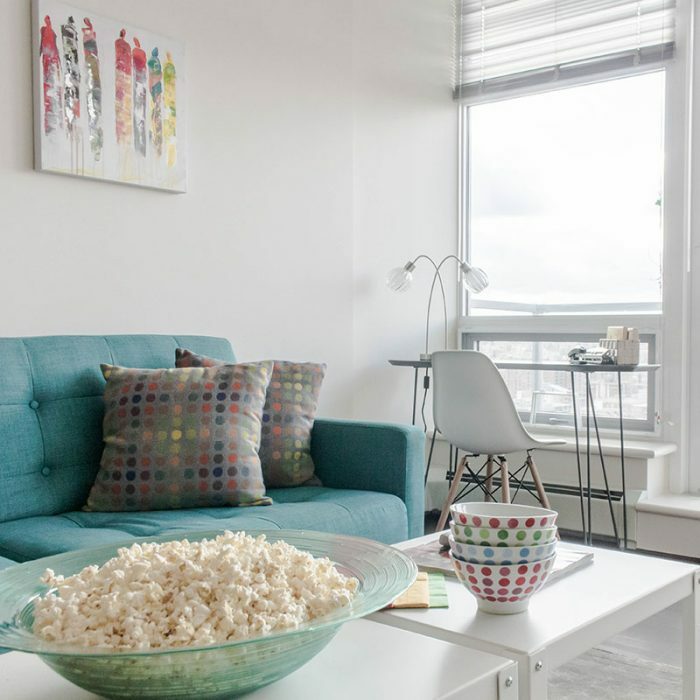 Luckily, the one bedroom apartments you’ll find at The Arch offer both. 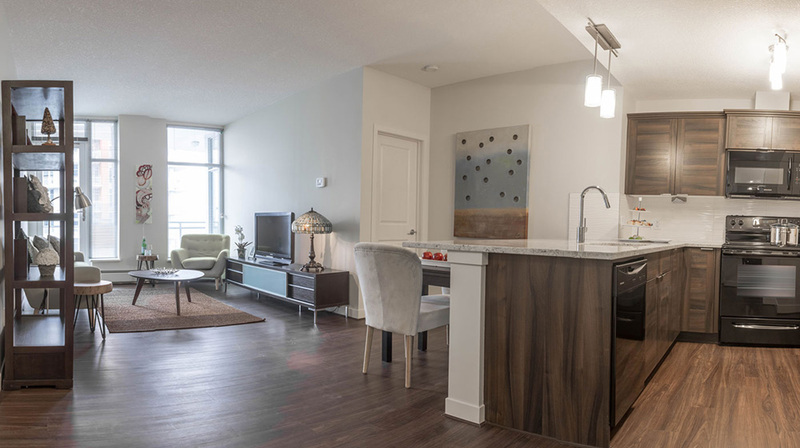 Located in the heart of the Beltline, right on one of the main bike routes to downtown, The Arch puts you right where you want to be. Close to groceries for your daily needs and entertaining. Close to restaurants and pubs for socializing with friends. Even close to tattoo parlours (and we all know nothing says home like a new tattoo). But seriously, you can’t feel at home if you don’t feel safe. That’s why The Arch’s main entrances are secured with intercom systems. That’s why the underground parking is secured with gates. That’s why there’s video camera surveillance. It’s all so you can feel safe, secure, and comfortable at home – here.